The Black Evolution Series Roto-Molded Snare Case by Gator is a hard-shelled case with durability and innovations to spare. 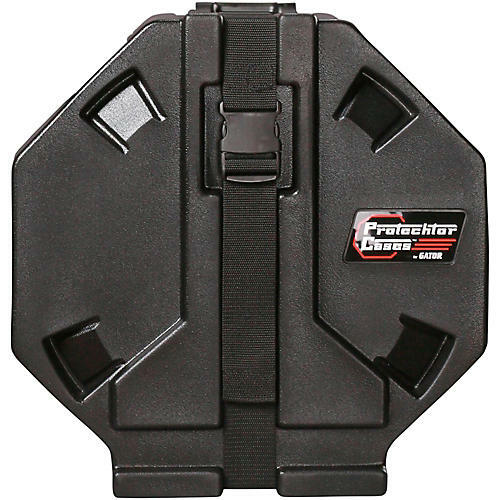 Ideal for concert and orchestral snares (5" deep or less), this case features the patented Drum Rim Suspension System which only puts the case in contact with the rim of the drum through molded-in suspension platforms with rubber pads. Made of tough weatherproof and roto-molded plastic, the flat-sided, octagonal shape of the case offers a stable base with additional interior space for storing accessories.